An intimate, quality cafe that knows the meaning of the word "hospitality". 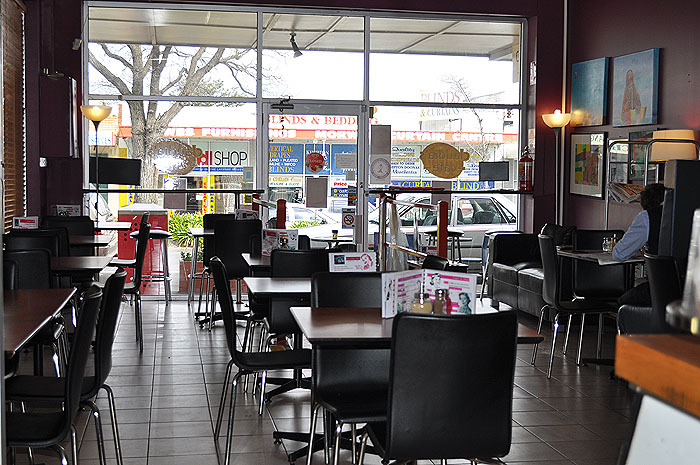 The cafe serves breakfasts, lunches and coffee and cakes and has a strong following in our town. We pride ourselves on offering quality foods at reasonable prices, with plenty of home made goodies on offer to please those jaded pallets. We believe in the term "hospitality" so when you come to our cafe, you'll be treated like a guest, served with a smile and know you're welcome back every time. We also supply catering services to local businesses/individuals.